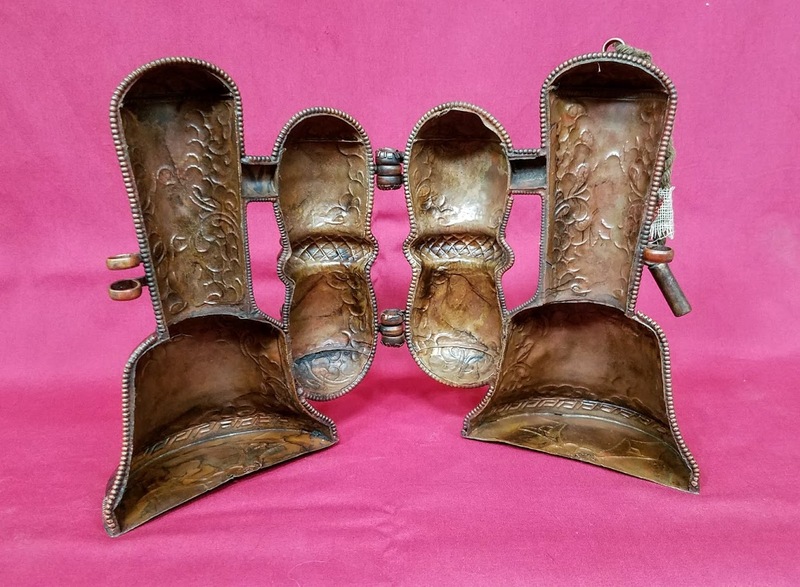 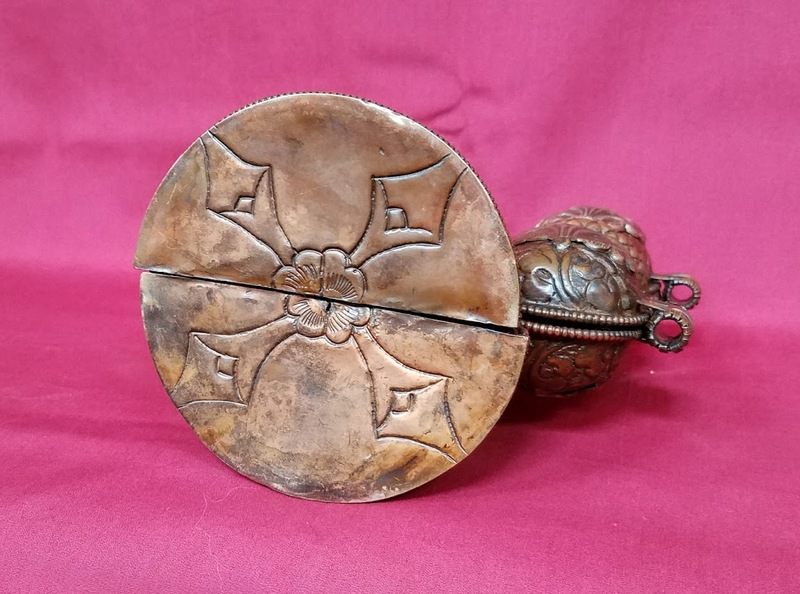 Bronze and copper ritual objects holder. 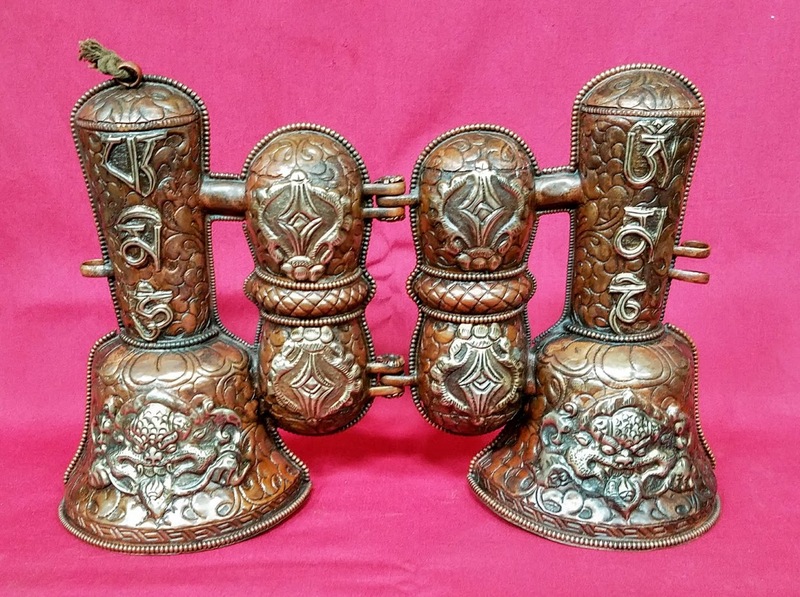 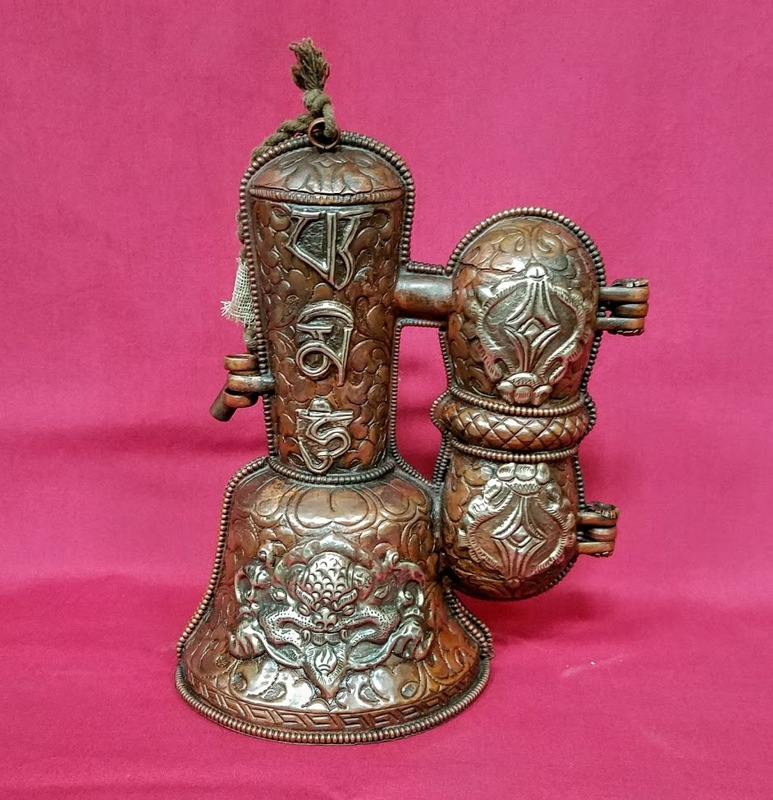 This cover is used for storing, protecting and housing the two most prominent and important ritual objects in Buddhism, namely the bell and the Vajra (also known as Dorje, translated as 'thunder bolt'). 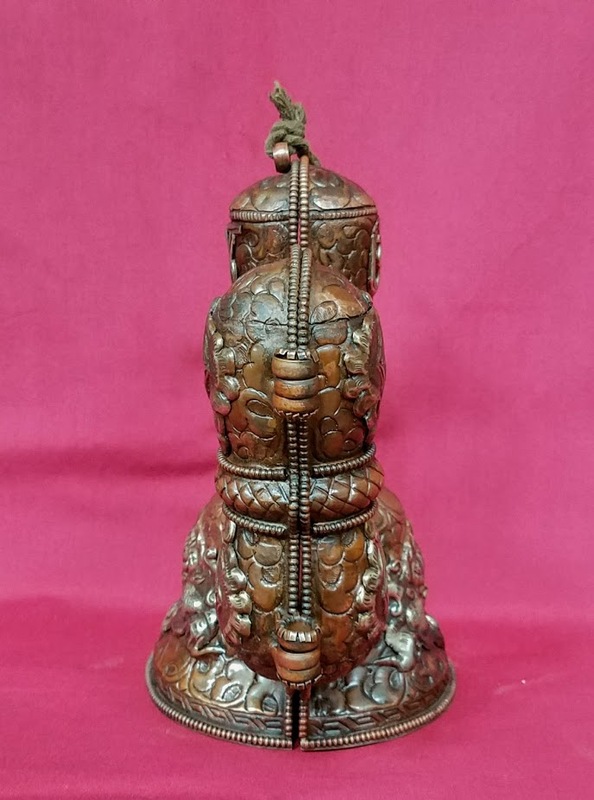 This casing is fully carved in bronze and copper with the Garuda (a large legendary bird-like creature, or humanoid bird that appears in both Hindu and Buddhist mythology and is the mount (vahana) of the Lord Vishnu) detailed in silver. 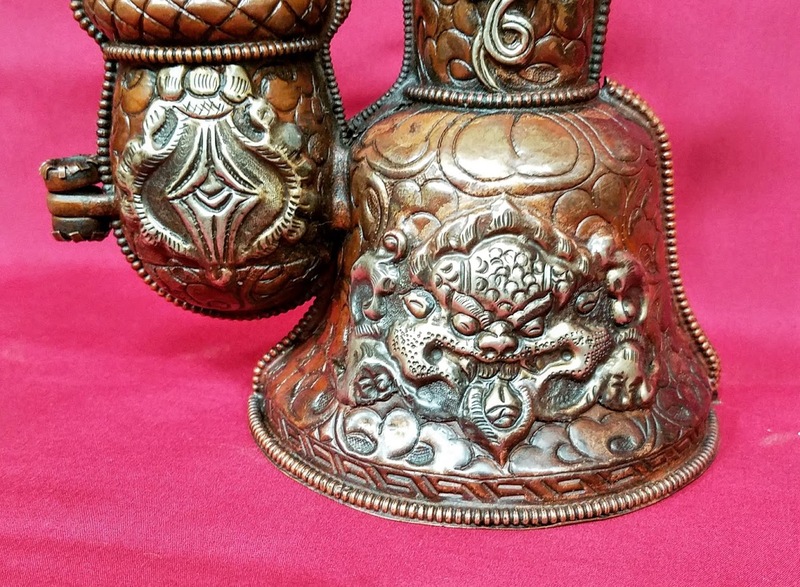 The mantra of OM MANI PAD MEY HUM is carved on the outside of the cover. 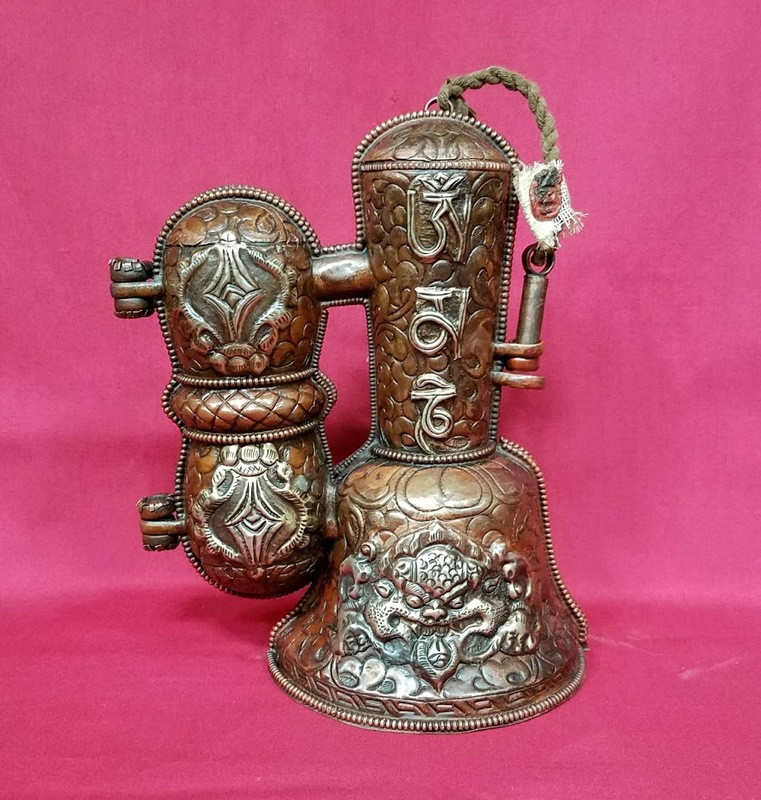 This item was for personal use in a local house in Bumthang, Bhutan, dates from the late 20th century and acquired by me in Paro, Bhutan in April of 2017. 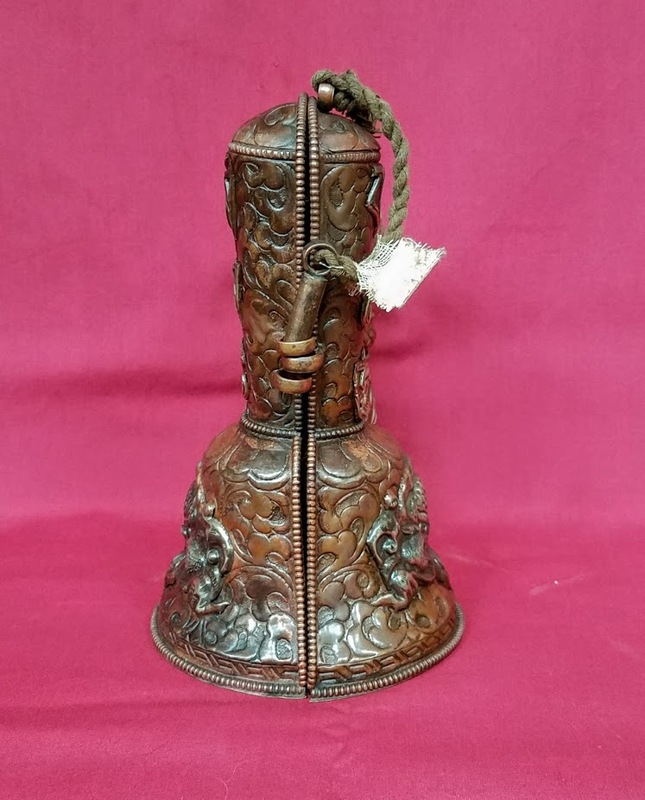 It measures 8" tall by 6" wide by 4 1/2" deep.